Grapefruit trees are easy to grow, develop quickly, and are very ornamental in the landscape with large glossy foliage and intensely fragrant blooms. Best of all they bear delicious and nutritious fruits that are a wonderful source of vitamin C.
Best to remove fruit before it develops for the first year so that the tree can get well established. 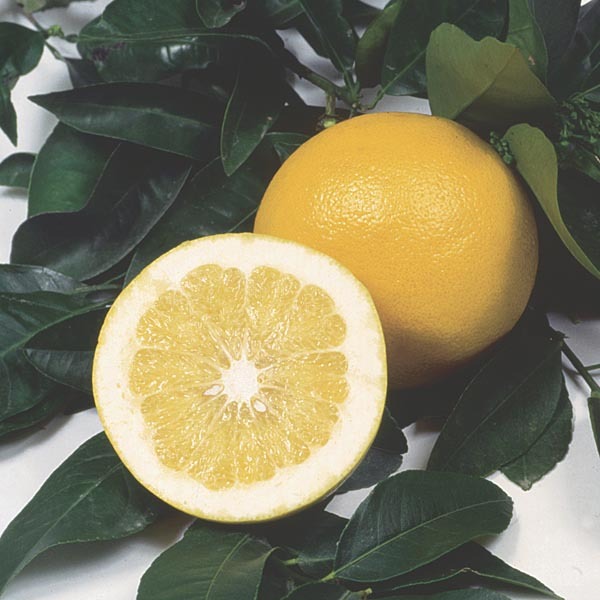 Apply fertilizer formulated for citrus trees in late winter into early spring. Plant where tree is accessible from all sides so that fruit can be easily harvested as it matures. Prepare fruit by peeling away the outer skin, slicing, or squeezing for juice.